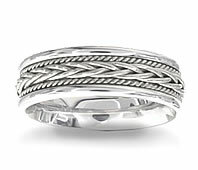 This is a uniquely designed ring! 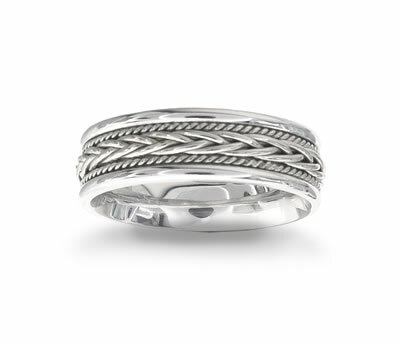 This 14k white gold wedding band features a metal braid in the center section edged by metal rope work and again edged by a highly polished outside edge! For an extra comfortable fit the inside edge is rounded.